“We need help from Mexico, if Mexico doesn’t give the help, that’s okay, we’re going to tariff their cars coming into the United States,” Trump said. 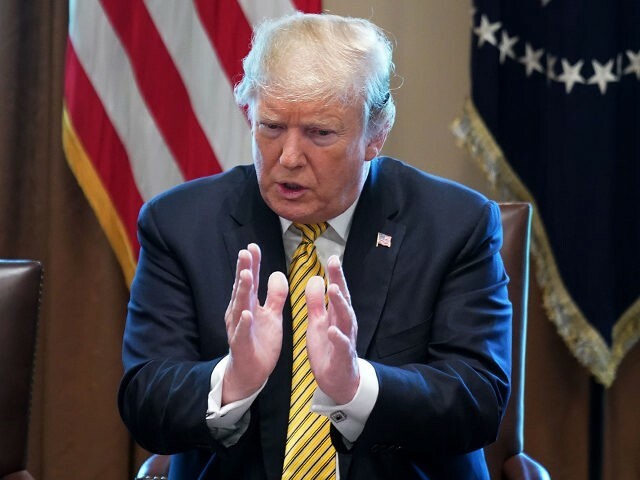 The president commented on his ongoing efforts to pressure Mexico to help stop migrants from approaching the Southern border of the United States during a meeting at the White House about economic opportunity zones. Trump backed away from the possibility of closing the border, noting that Mexico had done more in recent days to return Central American migrants back to their countries since he threatened to close the border last week. “We love Mexico, we love the country of Mexico, we have two problems,” Trump said, pointing to the flow of migrants and illegal drugs crossing the border. He warned that if proposed auto tariffs failed to pressure Mexico into action, he would again consider closing the border. “If that doesn’t stop the drugs, we close the border,” he said.